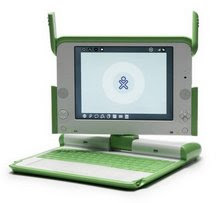 While the Pacific focuses on trials and small projects, some governments outside the region have taken the key step of embracing OLPC as a national program. This inspiring and informative talk from Miguel Brechner Frey, the director of Uruguay's Plan Ceibal, outlines the scope and challenges of delivering a laptop to more than 380,000 children in that country. The first lesson: it CAN be done. The second lesson: it WAS worth it... Listen!